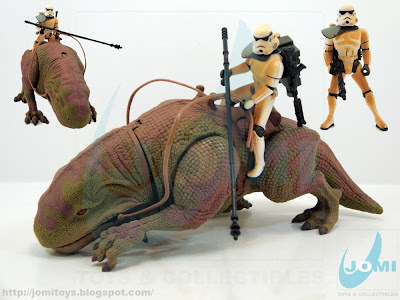 "Dewbacks were employed by sandtroopers in Episode IV: A New Hope because George Lucas believed that the use of an organic means of transport instead of mechanical means, such as a landspeeder would give the desert search scene an "element of surprise." 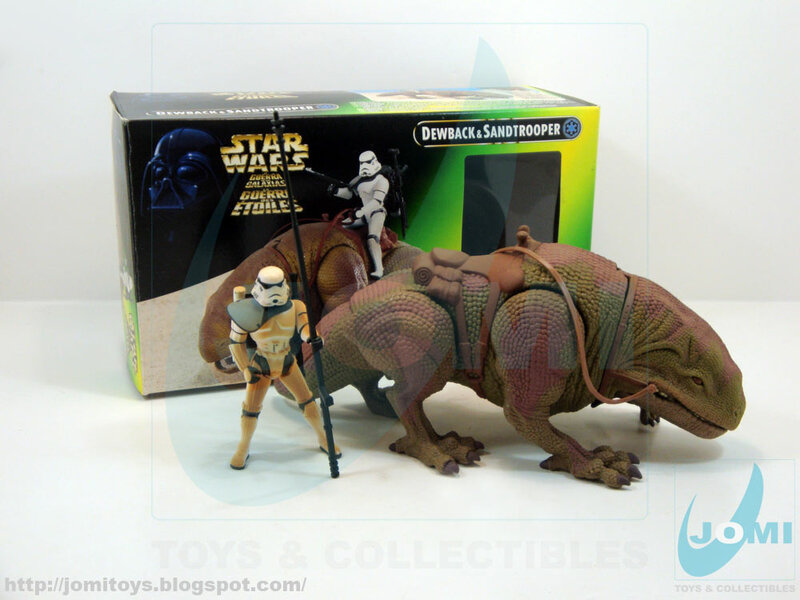 However, the dewback that was eventually produced for the movie was not created with movement in mind so it was relegated to the background". An absolute fan´s favorite, this toy was completely remade for this "Special Edition Trilogy" series. One of the best toys, no doubt. A word about this included Sandtrooper. With movable knee joints and a DLT-19 heavy blaster rifle, he´s ready for battle.